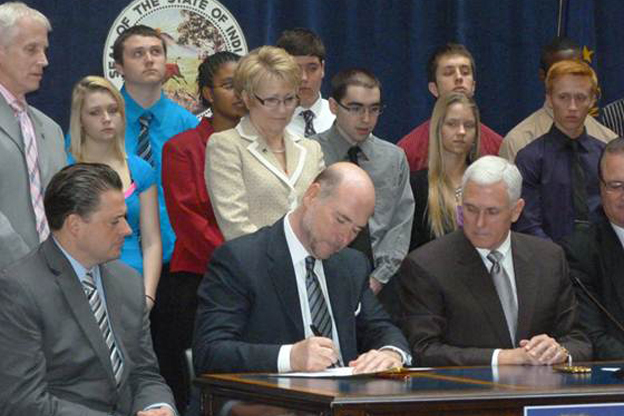 New bills creating Indiana Works Councils and the Indiana Career Council were signed into law Monday, April 15th by G overnor Mike Pence after both measures received unprecedented unanimous, bipartisan support in both chambers of the Indiana General Assembly. These new Councils are designed to increase coordination between the state’s educational, job skills and career training systems to help prepare Hoosier youth for college and the workforce. Indiana Works Councils will be established on a regional basis across the state, bringing together local employers, workforce development officials and educators appointed by Governor Pence. By November 1, 2013, these councils will provide comprehensive reports identifying career, vocational and technical employment opportunities in their regions, including high wage, high demand jobs. The Indiana Works Councils then will establish alternative career, technical, or vocational educational curriculum for high school students to offer students opportunities to pursue internships and apprenticeships, and earn an industry certification or credits toward an associate degree. The purpose of the Indiana Career Council will be to coordinate participants in the state’s educational, job skills and career training systems to address the “skills gap.” By July 1, 2014, the Indiana Career Council, with input from community stakeholders will prepare a strategic plan to improve the state’s education, job skills development, and career training system. The ICC will also be submitting recommendations on an ongoing basis to the General Assembly on necessary improvements to Indiana’s job skills training system. Transform Consulting Group is available to help your organization learn more about these workforce development opportunities. Does Your Organization Have a Continuous Quality Improvement Process? We would like to invite you to sign-up for our newsletter. 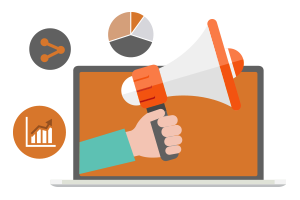 Transform Consulting Group sends out weekly emails with help articles about industry trends, new grant offerings and more!